Julie over at The Sporadic Cook has given me the following award. Congratulations on your award!! It is certainly true! Thanks so much for passing it on to me. Thank you for making my day and congrats on your nice award! I was just about to get off the computer, then I saw this nice award from you. Thank you so much, you made my night. Congrats on yours too! Congrats to you and thank you for passing it on to me. Thank you my Phili sister! 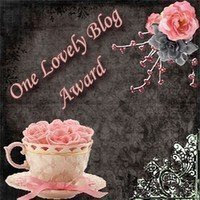 You are so sweet and worthy of your award too! Ciao and hugs! thank you so so much! You made my day! *hugs* Sorry it took me so long to get over here... I've been swamped!